The MWC is around the corner and this week has been particularly intense with respect to ads and leaks of all kinds. We have seen video some LG models, the first official image of the HTC One X, more pictures of the Acer Cloud Mobile, rumors about a beast of Fujistsu and we also talked about the singular ZTE Mimosa X. One of the protagonists of this week It has been Canonical and its project to introduce Ubuntu on Android to use our mobile phone as if it were a computer. We also talked about ROMs: the officers as the beta of Ice Cream Sandwich of Sony Mobile, also of the unofficial as the release of CyanogenMod 9. By the way, if you have an Asus Eee Pad Transformer id updating because it already begins to get Ice Cream Sandwich. As every week, we have also discussed applications. Google Docs updated and finally allows us to edit files in real time with other users. We have seen how Mariano Ninja has landed in Android and how the Simpsons will do so shortly. If you like wines, do not miss Barcode of Wine and if you are looking for apps to manage the costs of your car, we recommend a few. Finally, a couple of curious but very interesting posts. On the one hand, several media have echoed of a rumor concerning the Samsung Galaxy B, a terminal that would hardly have edges. Although at the moment there is no official confirmation. 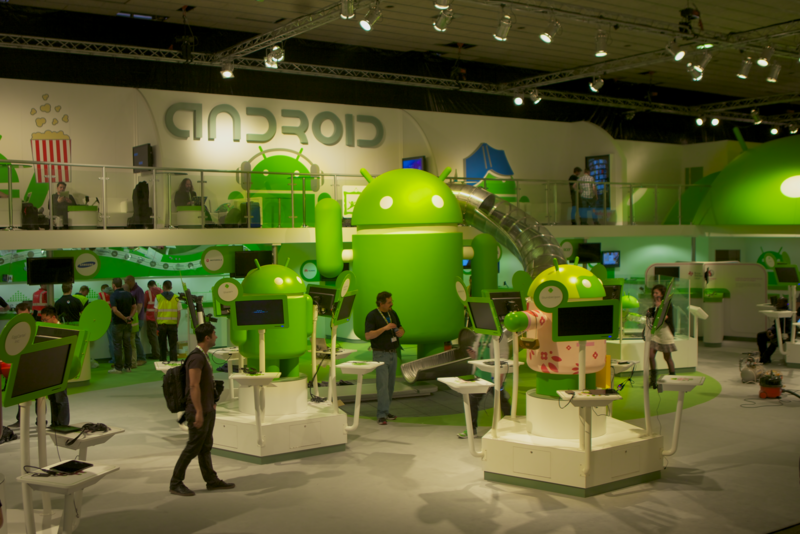 On the other hand we have our image of the week: Android at MWC pins. This year there will be more and the lucky ones who pass through the fair may be with them at the stand of the Green Android.